This year, Temple University’s PRSSA Chapter is proud to be celebrating 50 years of networking, leadership and mentorship. To celebrate this milestone, it felt only right to go big with a regional conference this spring. In the past, we created a local conference to give Temple students of all majors and students from area schools the chance to meet local professionals, exercise their networking muscles and learn about the public relations field. This year we will be presenting the same opportunity to other universities on March 22-23. Appropriately titled “Being A Full Service PRo,” this event will give students a holistic approach to the ever-changing industry that is public relations. The conference theme was inspired by full-service agencies and in-house public relations teams looking for interns and graduates who have a wider set of skills extending beyond the typical public relation functions. No longer is public relations limited to the traditional craft of writing press releases and gaining media exposure through traditional means or staging photo opportunities. With the rise of tools like social media and other platforms and dealing with issues like analytics, CSR and client relations, employers expect more out of recent graduates. The goal of Being A Full Service PRo will give attendees a better understanding of the way our field has changed. We will have nine panels with speakers in fields ranging from diversity to professional development to special events. Speakers vary from recent graduates to seasoned public relations professionals, all bringing a fresh perspective. Please visit templeprssa.org/regionalconference for an updated list of speakers. “Temple’s previous conferences have helped a great deal in shaping me as a young professional. The TU Invitational I attended in 2016 was my first exposure to any networking in my undergraduate career. I felt overwhelmed at first, but it turned out to be such a great learning experience filled with insightful speakers,” said current Temple University PRSSA member, Lailumah Faisal. Being A Full Service PRo will be held at Temple University. To view more information about the conference please visit templeprssa.org/regionalconference. Please contact fullserviceprorc@gmail.comwith any questions. 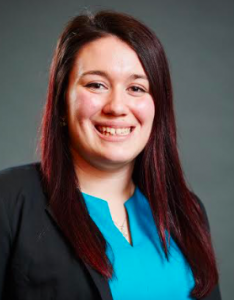 Chelsea Seidel is the Chapter president at Temple University.